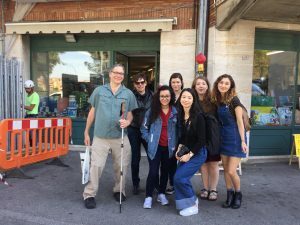 A private bus toured us through the magnificent Tuscan countryside, but the roads were curvy. 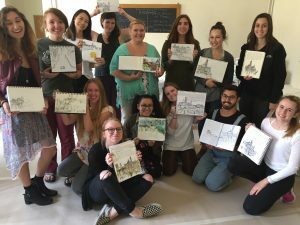 Students painted a variety of subjects, including: wine bottles, sculptures, pastries, lights and local produce and salamis. 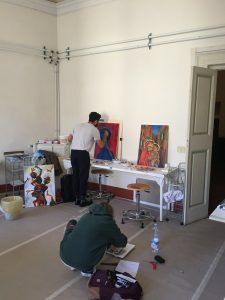 In the 18thc palazzo where GEO is located, we converted three light-filled rooms into beautiful painting studios; first covering the beautiful original tile floors with brown paper. 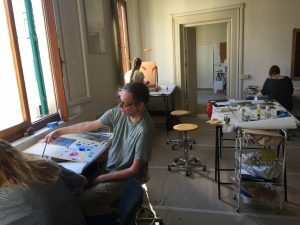 Preparing surfaces to paint on. 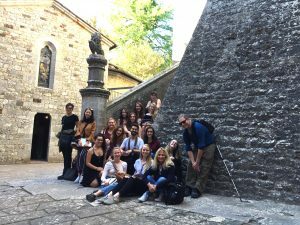 An excursion with any historian Piergiacomo Petrioli (PG) gives students a chance to see the first and second churches that the 13C Duomo was built on at the Crypt. 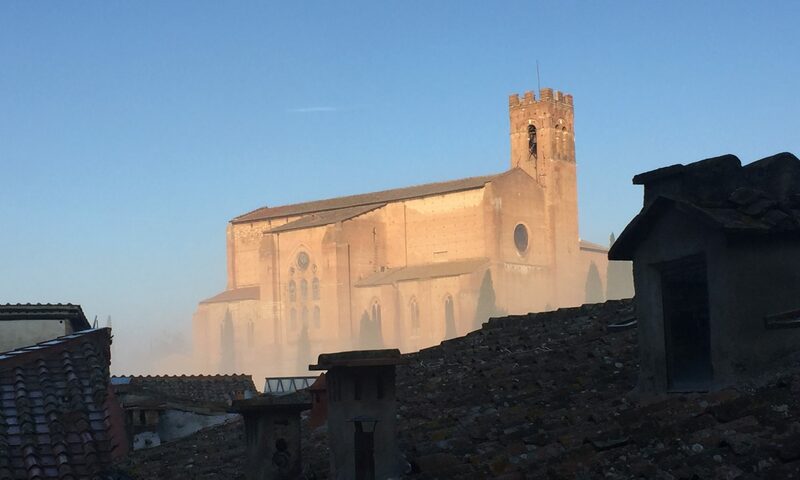 The original artwork of the Duomo is now on view at the Museo dell Opera. 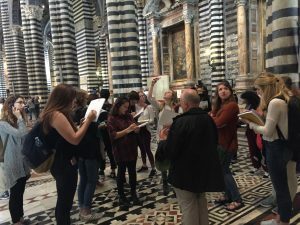 Visiting and Journaling at the Duomo; inside and out. 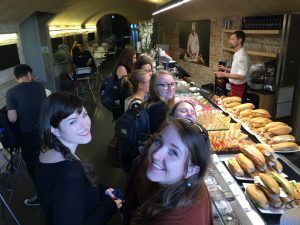 …and breaking for a well deserved snack! 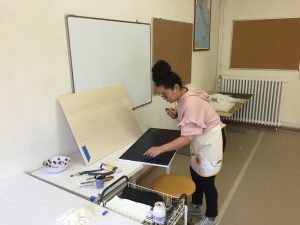 Always exciting to visit a local art supply store. 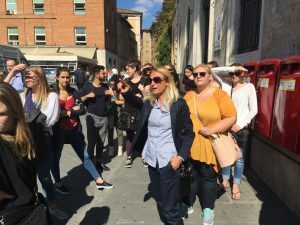 Students arrived, September 26, tired but happy to be in Siena. 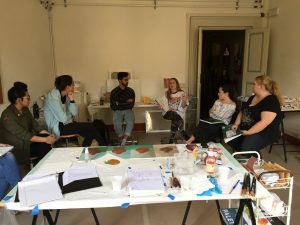 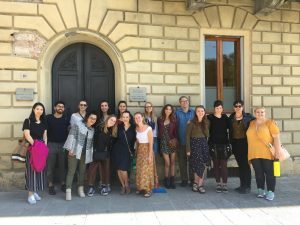 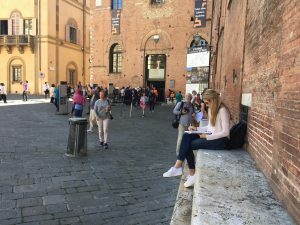 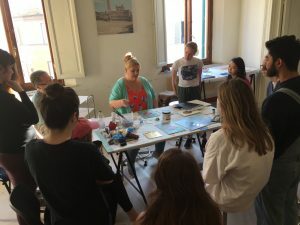 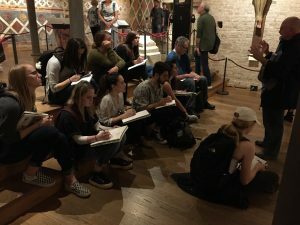 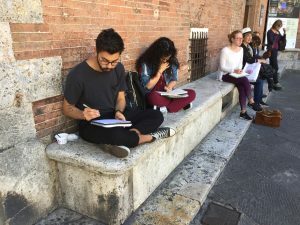 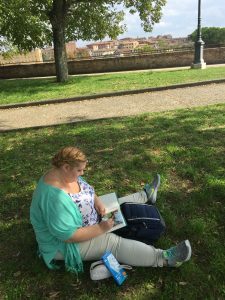 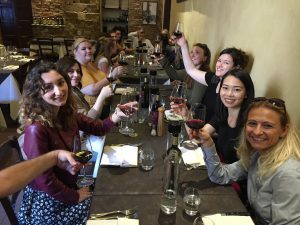 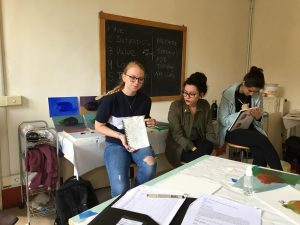 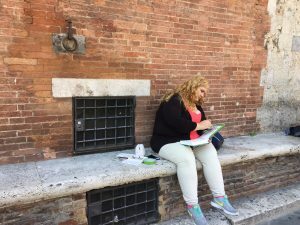 Fifteen students from Alaska State University, Portland State University, Oregon State University and University of Oregon joined OSU Professor of Art, Shelley Jordon, in Siena, Italy, fall quarter, 2017, to participate in a Tuscan Experience: Studio Art in Siena administered by GEO. 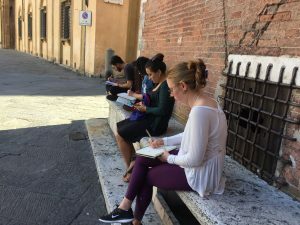 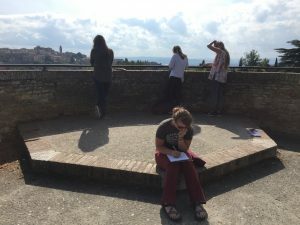 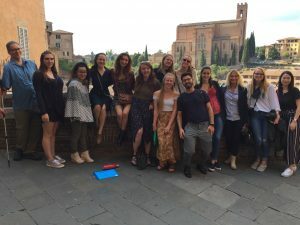 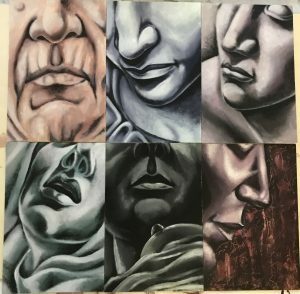 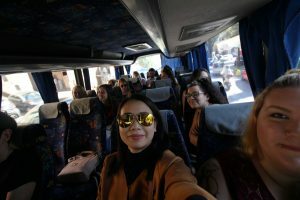 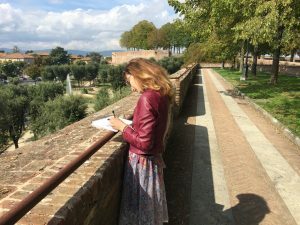 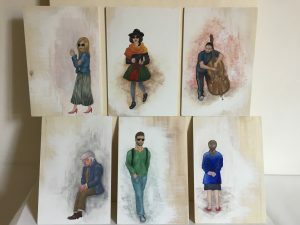 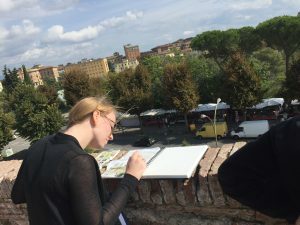 In addition to Jordon’s the Tuscan Journal (a travel journal class) and Painting Concepts: learning from the Italian masters, students are studying Italian language, Cross Culture and optional Art History and Wine and Culture classes.